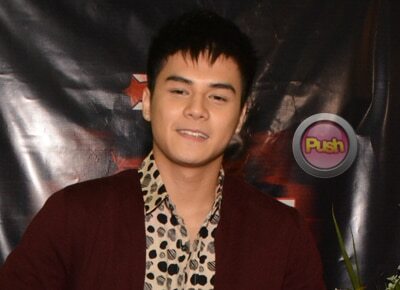 Following the announcement that the It’s Showtime all-male group Hashtags is looking for new members and the fact that one of its members Ronnie Alonte will soon have his own concert titled #KiligKing, PUSH.com.ph asked: Is Ronnie going solo? During the press conference for his concert to be held on December 17 at the Kia Theater, Ronnie said, “Hindi po, hindi po,” and acknowledged the fact that most people would ask him the same question. “Hinding hindi ko po iiwan ang Hashtags kahit ano pong mangyari sa akin kasi po doon po ako nag-start, eh,” he said, adding that he will not leave and will still be on the noontime show as well. Earlier, Ronnie said that Hashtags, dubbed as Kilig Ambassadors, are supporting him in his concert. In fact, they are set to do a production number. Aside from his concert, Ronnie is in the upcoming move titled, Vince and Kath and James under Star Cinema, among other projects.